Are you tired of taking the metro every day or being stuck in traffic? We’ve got the perfect solution for you! Have you ever heard of BiciMAD? Keep on reading to find out more! 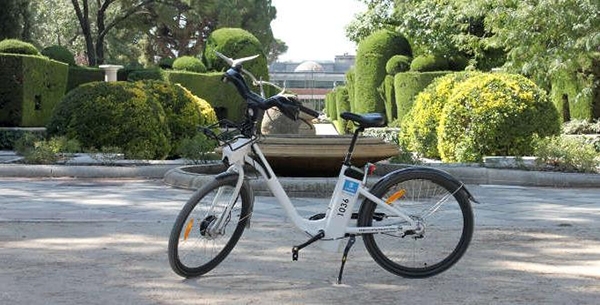 BiciMAD is a public transport system available in Madrid comprised of over 2000 electric bicycles. It is a practical and ecological system that allows you to move from one place to the other avoiding traffic and doing exercise in the meantime. Many of our graduates who are teaching English here in Madrid, use the bike to move around from class to class in the center. One of our regular biking TEFL teachers suggested having a T-shirt that you use just for cycling, have some wet whips handy for after the big hills, always wear a cycling hat and finally to cycle with confidence! 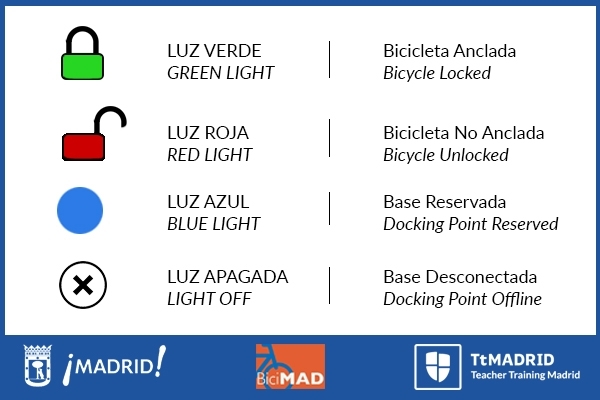 There are 165 points around Madrid where you can pick a bike, but in order to do so first you have to sign up. You can choose between an annual subscription or a sporadic one. 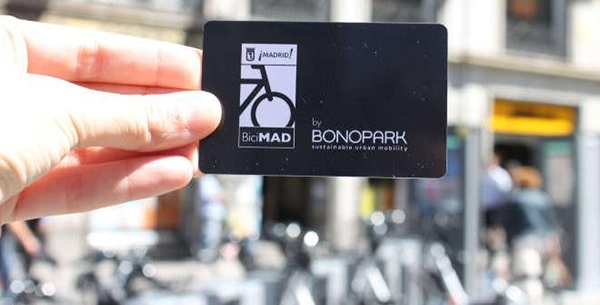 If you want to ride your bike 365 days per year, then go on www.bicimad.com, download the BiciMAD app or go to the Oficinas de Atención a la Ciudadanía de Línea Madrid to ask for your card. Once you do this, you will receive a password to pick it up in the station and you will be able to get a bike any day, as long as there is credit on your card. If you know that you are only going to use this service every now and then, then just head to the station and you will be able to get a card for either 1,3 or 5 days. Once you get to the station, look for the green lights! All the bicycles with the green lights are available. Use your card to unlock it (you will hear a small beep) and move the bicycle slowly to release it. Once you get tired, just look for another station and put it back in one of the spots with a red light. Once the bike is properly parked, the light will turn to green and you will hear another beep that confirms that you’ve parked it properly. But… what if there’s a blue light or no light at all? The blue light means that someone else has made a reservation, so you can’t take it! No light at all means that the bike is disconnected so you won’t be able to use it. Are you worried that you are going too far away and might get tired? Don’t worry! The Booster Bike has a special technology that makes pedalling easier. There’s a button that allows you to pick between Low, Med or High, so depending on how much exercise you want to do you can choose how much help you have! The rates will vary depending on your subscription, but it’s between 1€ and 2€ per hour (a great way of saving money!) For more details, visit this website. If you have any questions, leave a comment on our Facebook and we will get back to you as soon as possible.